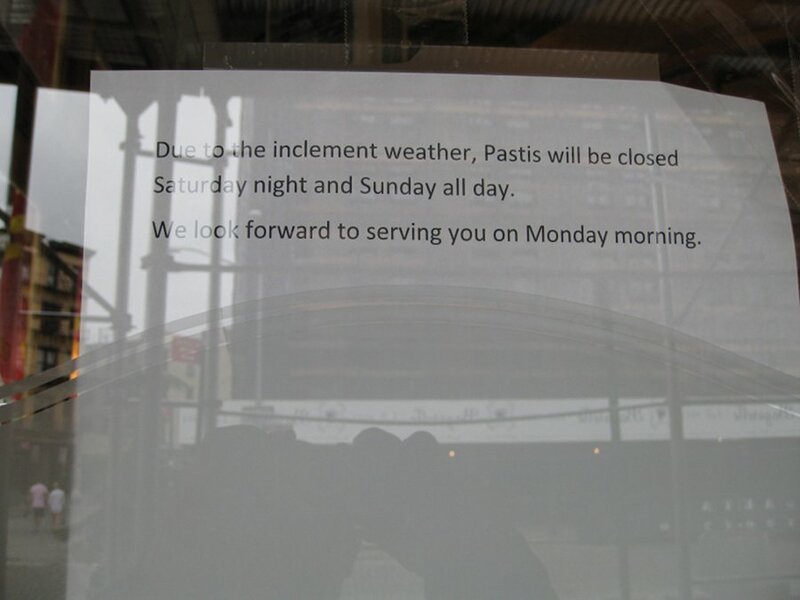 Pastis is found in the meat packing district. It has a old French bistro look to it with actual French text on the walls and signs – it has an almost Parisian feel to it. When you walk in you will be shocked by how large it is. There is a main dining area near the bar and further down there is a second dining area. 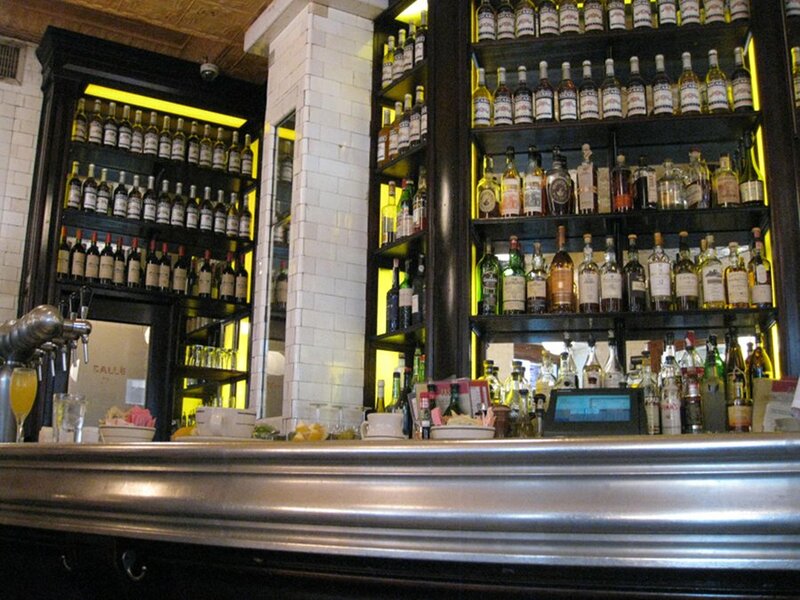 The bar is enormous in respect to its height. The washrooms are near the middle of the restaurant and share a common handwash area before you go into the respective washrooms. 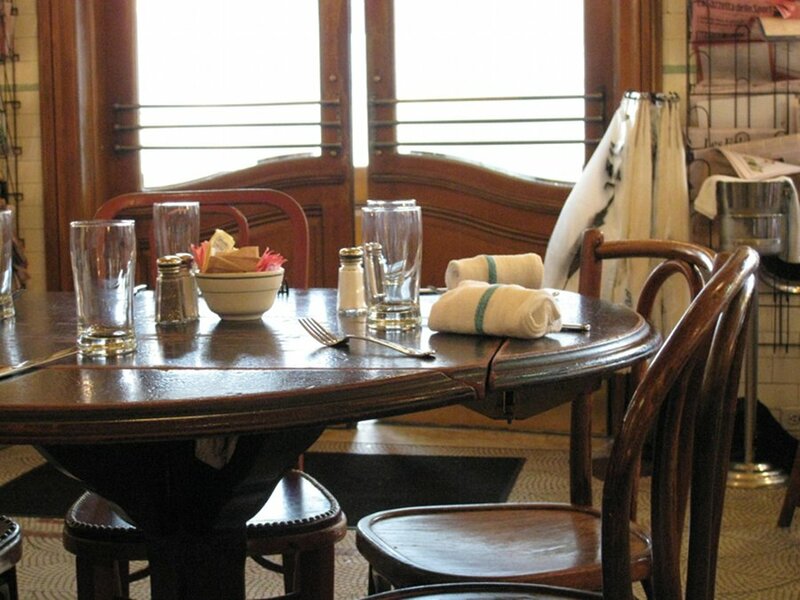 The décor has a definite older feel to it with wait staff dressed in classic black pants and white shirts as well as suspenders for some adding a circa 1930’s aspect to their style. We were a bunch of people so we got to try a bunch of items although right off the bat, one item seemed to catch the eye of a bunch of us and that was the French toast ($17). 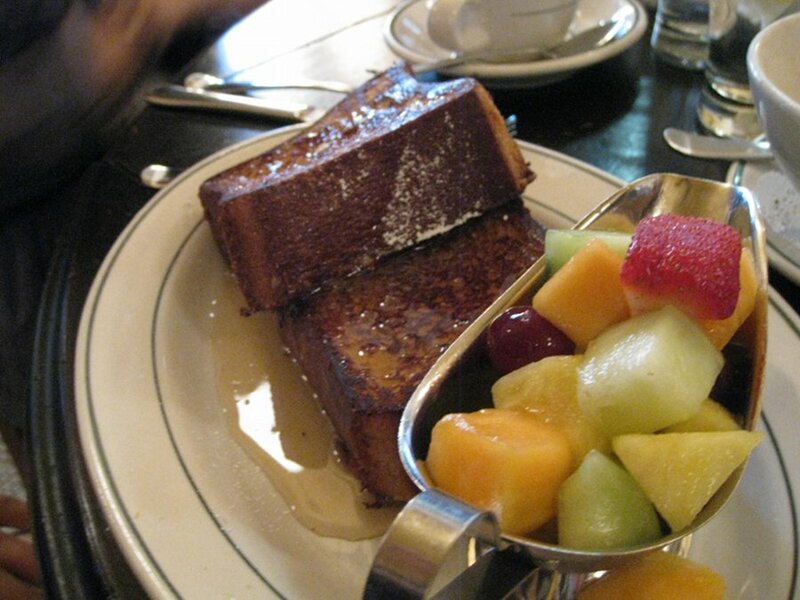 This dish came with two large pieces of French toast drizzled with syrup and a side cup of fruit. The French toast were outstanding with just the right amount of sweetness without it being too overpowering. The slices were thick and yet when you bit into them they were fluffly and light while still making you full by the end of the meal. The Eggs Basqauise ($20) was a rather unique dish which came served with two poached eggs, creamy polenta, peppers, onions, prosciutto all in a single bowl . The price stings a little but the taste is very unique and delicious with the peppers and the polenta working very well together and still making it seem like a breakfast dish. 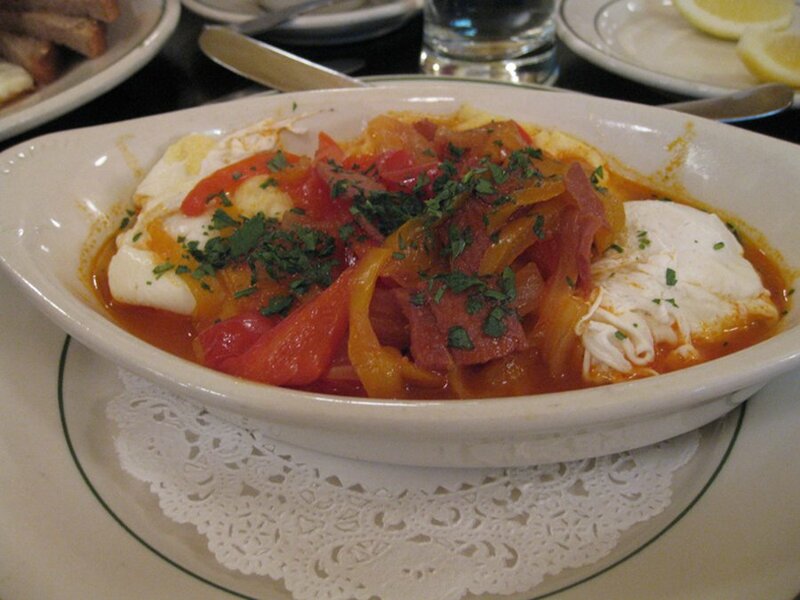 The prosciutto is not overstated since it is a very salty meat and the eggs and the sauce take center stage. The other ingredients compliment the dish without stealing the show and this is what gives it its breakfasty taste while showcasing a more lunch like look. 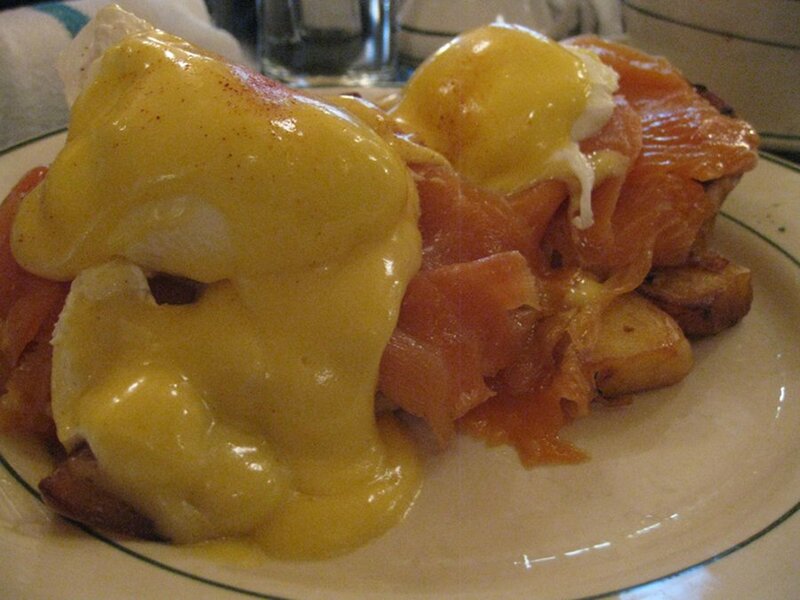 The Eggs Norwegian ($22) is two smoked eggs with smoked salmon, hollandaise sauce and potatoes. The price, once again, is high but I would pay double for this dish. Honestly, this is the best eggs Benedict I have ever had and I consider myself an eggs Benedict expert. To begin with, the smoked salmon portion was extremely generous and the quality of the smoked salmon was excellent: it wasn’t thin or pasty it was how proper smoked salmon should taste like. The hollandaise sauce was not overpowering but worked nicely in a harmonious union with the smoked salmon and even complimented the potatoes that were in this dish. Keeping in mind they were short staffed and bracing for a hurricane, the service was good. They pre-warned us that it would be a little slower but our waiter was on time, took our orders well, was polite and gave descriptions on dishes. Our dishes also came out quickly so despite their warning, we were adequately served. Most dishes are vegetarian friendly. Worse case scenario, some may have smoked salmon in them and only one dish had prosciutto. I loved this place! The food was great, the service was good and décor is lovely, classic and unique. 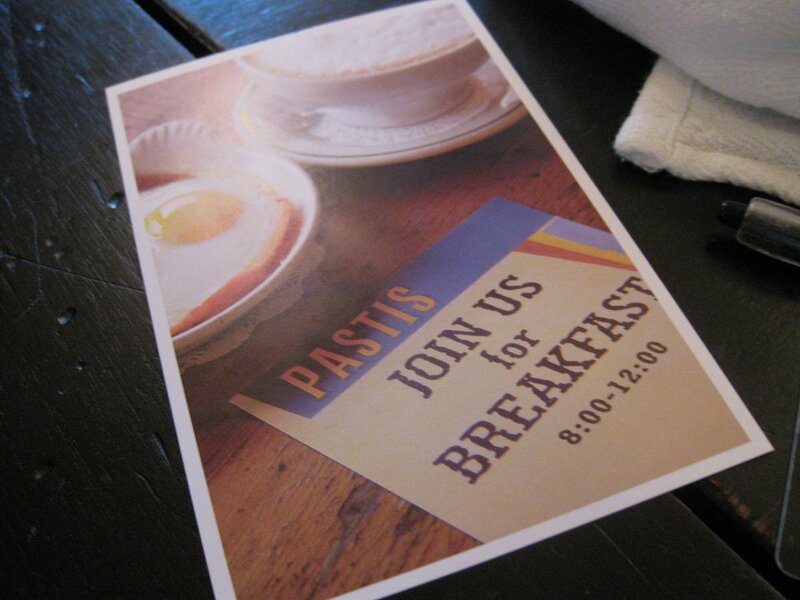 The price is more than you find elsewhere but for a true brunch experience, do try out Pastis. For a one of a kind Brunch, the food will take your taste buds on a trip and if you are an eggs Benedict fan you have to try the Norwegian, because yes, it is that good.